Tell me …. 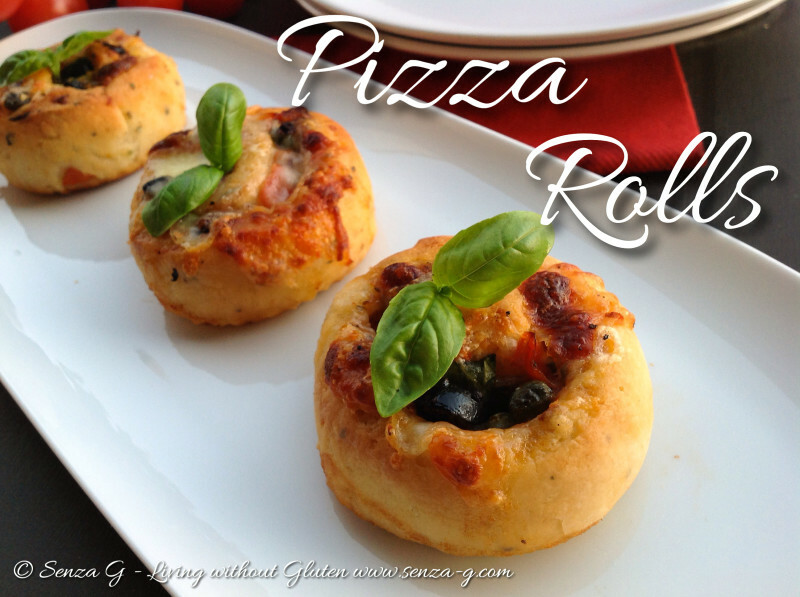 how can you resist these pizza rolls? 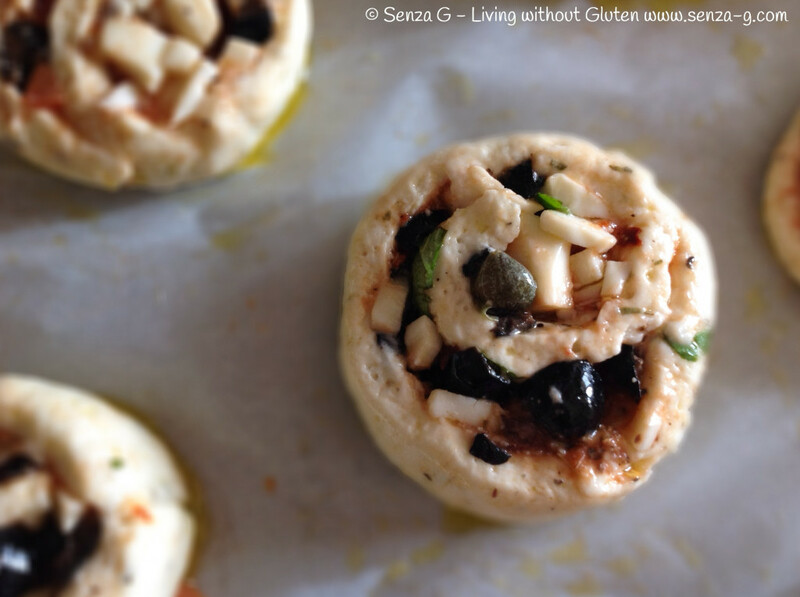 Made in the same way as Cinnamon Rolls are made, however using a savory version of the dough. I have used Nutri Free Bread Flour with the addition of Nutri Free Rice Flour. The ingredients in GF flour mixes vary from one to the other, so if you use other mixes, ratios and results might vary slightly. 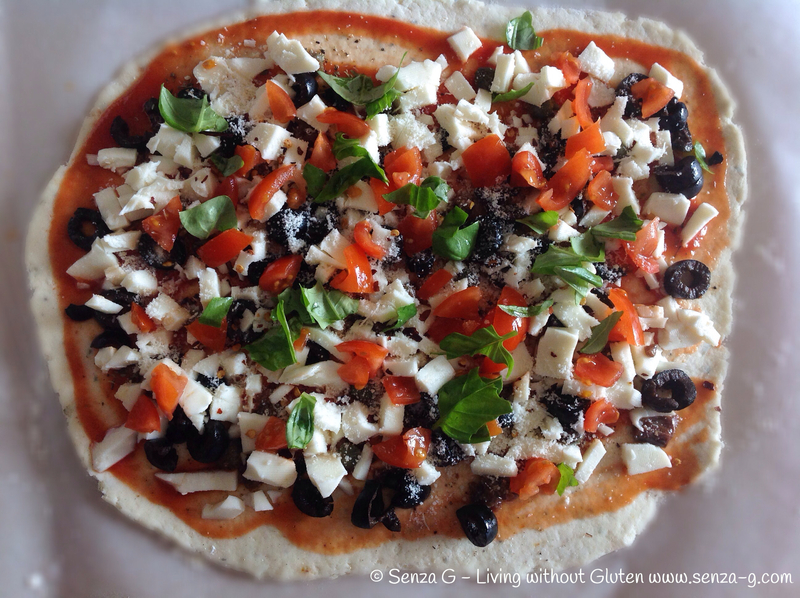 I used a tomato based filling, with anchovies, black olives and mozzarella. But the sky’s the limit! Use any filling that you like. Place yeast in the warm milk with the sugar and set aside. Put both flours, baking powder, baking soda, herbs, garlic pepper and salt in a large mixing bowl. Combine well with a whisk. Add the olive oil and work it into the flour until it resembles breadcrumbs. Start adding the milk and yeast mixture and stir until you see the dough coming together. Transfer to a floured surface and work the dough till it feels less tacky. Roll it into a ball and place in a bowl. Cover with cling film and set aside for half an hour in a warm place. Turn out the dough onto floured baking sheet on your worktop. Divide into two. Roll out one piece of dough into a rectangle. Cover the top with passata. Season with salt & pepper. Sprinkle over the anchovies, the olives and capers. Top with shredded mozzarella and grated parmesan. Scatter the chopped cherry tomatoes and sprinkle over the oregano and the shredded basil leaves. Starting at one long end and with the help of the baking paper, start rolling the dough. 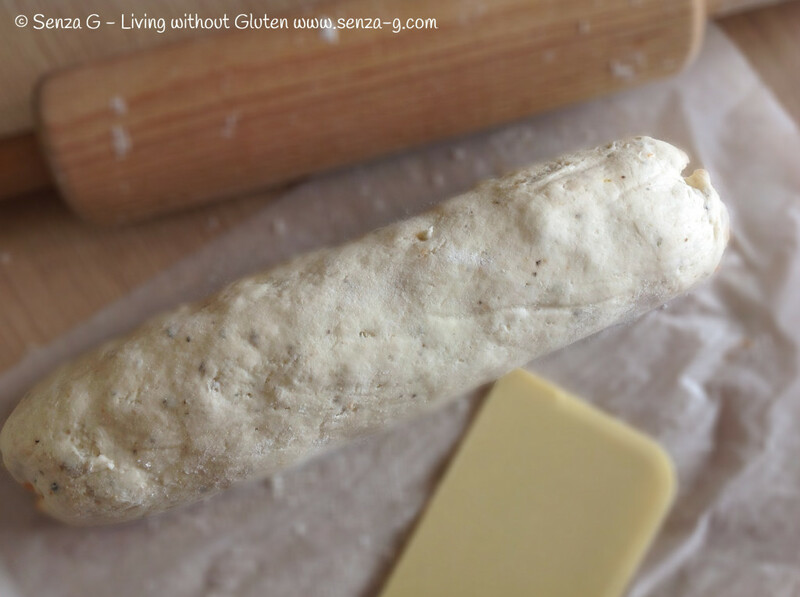 Pinch the ends together and then using a very sharp knife, cut the dough roll into equal sized pieces. Place these pieces onto a paper lined baking sheet or if desired in muffin tins, brush the tops with a mix of olive oil and water. Leave to rise for about two to three hours in the oven, with just the light on. Remove the tray and reheat oven to 220C. Place the tray back in the oven and bake the rolls until they start turning golden. Take them out, sprinkle more cheese on top and grill until the cheese melts.